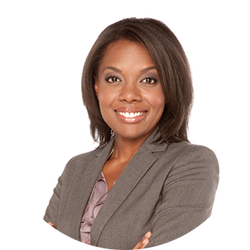 Tammie Sutherland is a reporter and anchor for Citytv, joining the news team in 2008. As a reporter, Tammie has covered a wide range of breaking news stories for CityNews and Breakfast Television - everything from the attack on Parliament Hill in Ottawa, to the Golden Globe Awards in Los Angeles. She started her career at City as a writer and an associate producer, before reporting in front of the camera. Tammie graduated with high honours from the broadcast journalism program at Seneca College and has a BA in Sociology from York University. Her passion for news started in radio as an anchor and reporter for Durham Radio and AM640 Toronto Radio. GTA-born and bred, Tammie grew up in Toronto, Malton and Brampton, with family roots in sunny Jamaica. 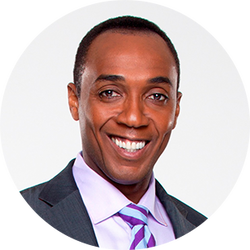 Dwight Drummond is an award-winning journalist and the host on CBC Toronto News, which airs weeknights at 6 p.m. on CBC television. Dwight has been a reporter and news anchor for over two decades. With Dwight at the helm, CBC Toronto News is yet again nominated for Best Local Newscast at this year's Canadian Screen Awards (CSA). In 2015, Dwight and CBC Toronto News took home that award, recognizing the team as Canada's Best Local Newscast. As a reporter, Dwight was known for his exclusives, He broke local stories that went national, and has reported internationally. He had the lead story on CityNews' Gemini win for Best Newscast, and a top story for City's Edward R. Murrow win. Dwight was also awarded the Ryerson University Alumni Award of Distinction, and had been inducted into Ryerson's Faculty of Radio and Television Arts’ Wall of Fame. Dwight has also received a number of awards for his police reporting and commendations for his community work. 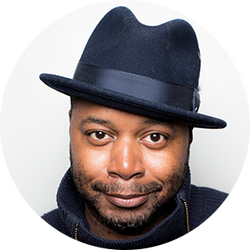 He is a recipient of the Men of Excellence Award, the Distinguished Men of Honour Award and the African Canadian Achievement Award for Excellence in Media. Dwight lives in west end Toronto with his wife and children. When he's not dedicating his time to community events, he can be found in the cheering section at his daughters' basketball games. 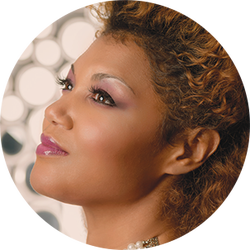 Award-winning Canadian soprano, Measha Brueggergosman will release the much-anticipated Songs Of Freedom, companion piece to the 2015 film of the same name that was nominated for 4 Canadian Screen Awards, which documented Brueggergosman’s own journey and connection to her faith, family history, and spirituals; a story of discovery from her Cameroonian ancestry, escape from American slavery and arrival in Canada. Timing is everything and this couldn’t be a better time to share a collection of songs about emancipation, family, faith and discovery. As Canada approaches its 150th year of confederation, a longing to search for our roots and examine our historical paths seems quite natural. Born in Fredericton New Brunswick, Brueggergosman is known for her dynamic performances and her resume is the envy of those twice her age that includes an epic performance witnessed by more than one billion viewers at the Opening Ceremonies of the Vancouver 2010 Olympic and Paralympic Winter Games, solo recitals at London’s Wigmore Hall, Roy Thomson Hall, Carnegie Hall, Spivey Hall and the Kennedy Centre. Brueggergosman has appeared with the Berlin Philharmonic in concert performances of Porgy and Bess, Angels In America with the Los Angeles Philharmonic and a program of Barber and Duparc with the Toronto Symphony Orchestra to name just a few. 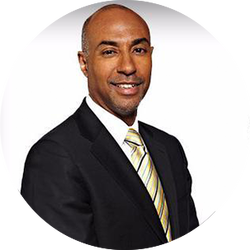 Jeffrey L. Orridge is the 13th Commissioner of the Canadian Football League. A leading executive with a lifelong passion for sport, he has spent his career building major brands and businesses in both Canada and the United States, with leading roles in organizations including the CBC, Right to Play, Mattel Inc, Reebok Interntaional and USA Basketball. He is positioning the CFL for the future with an innovative and progressive approach designed to engage avid fans and to attract the next generation of fans. Morgan is a 2016 finalist for the Premier’s Award for Excellence in the Arts. 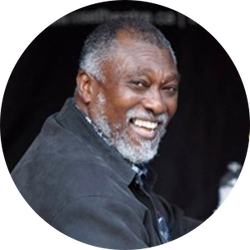 In 2014, he was the recipient of the Renaissance Planet Africa Award for Career Achievement, and was acknowledged by the Ontario Black History Society as a Community Trailblazer. In 2013, Morgan was inducted in to the Scarborough Walk of Fame. Morgan is a member of the Writers Union of Canada, a 2012 Canadian Festival of Spoken Word National Poetry Slam Champion, and has received both the African Canadian Achievement Award, and the Harry Jerome Award for Excellence in the Arts. Morgan is the winner of 3 Canadian Urban Music Awards (2001, 2003, 2005). In 2005, Morgan was recognized as Poet of Honour at the Canadian Festival of Spoken Word in Vancouver, and in 2008 his contribution to the Arts and Canadian society were recognized on the Legacy Black History Month poster. Morgan has published 9 books; No Apologies (2016), Before I Was Born (2015), Everyday Excellence (2013), Her Favourite Shoes (2011), The Sensual Musings of Dwayne Morgan (2010), The Making of A Man (2005), The Man Behind The Mic (2002), Long Overdue (1999), and chapbooks, The Revolution Starts Within (1996), and Straight From The Roots (1995). In 2009, Morgan’s work was translated into French, culminating in the book, Le Making of d’un Homme. His albums include, Another Level (1997), The Evolution (2001), Soul Searching (2003), A Decade in the Making (2004), Mellow Mood: The End of the Beginning (2007), and Idle Hands (2011). In 2008, Morgan released a commemorative DVD entitled, Dwayne Morgan The First Fifteen. To further explore his creativity, Dwayne collaborated with Driftwood Studios to film, Three Knocks, a ten minute film based on his domestic violen­ce poem of the same name, which premiered in Toronto’s Reel World Film Festival. In March 2008, Dwayne hosted his first photography exhibit, The Sum of Her Parts, exploring female body image. Dwayne’s work ethic has taken him across Canada, the United States, Jamaica, Barbados, England, Scotland, Belgium, Budapest, Germany, France, Norway, Ghana, and Holland. His emphasis on quality has driven his success, and has made him a well-respected component of Toronto’s urban music community, as well as the North American, and Global, spoken word scenes. Afua holds a Ph.D. in history from the University of Toronto. Her major field of study was African history, and she completed other fields in Canadian and Caribbean historical studies. 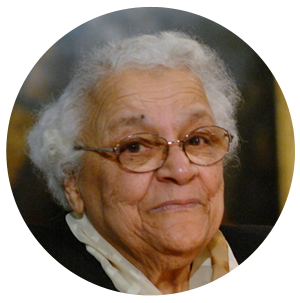 Her doctoral dissertation on Black abolitionist Henry Bibb, engaged the study of Black Canada and the African Diaspora. Dr. Cooper’s expertise includes African Canadian culture, Black women’s history, gender, slavery, abolition, and freedom, Black literatures, and education. She has conducted research on African-descended people and their culture across Canada, and internationally in Jamaica, France, the United States, Martinique, Britain, Sierra Leone, Senegal, and Ethiopia. Her co-authored publication We’re Rooted Here and they Can’t Pull Us Up: Essays in African Canadian Women’s History won the Joseph Brant prize for the best history book. Her ground-breaking book on Canadian slavery, The Hanging of Angelique: The Untold Story of Slavery in Canada and the Burning of Old Montreal was nominated for the Governor General’s award. Afua has curated and worked on five exhibits including, The Underground Railroad, Next Stop Freedom, Enslaved Africans in Upper Canada, and The Transatlantic Slave Trade. In addition, Afua has designed and taught courses on gender, and Black history and culture at several universities. She has also lectured on these topics nationally and internationally. Further, Dr. Cooper served as the co-ordinator and chief knowledge officer of the Ontario Initiative to Commemorate the Bicentenary of the British Slave Trade Abolition, in 2007. Her work on Black Canadian history and culture has made her the leading Canadian scholar in such fields. Through her outstanding work and practice as a poet, she helped to centre dub poetry in Canada and beyond, and cofounded the Dub Poets Collective. 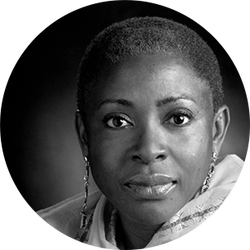 As creative director of the DPC, Afua engaged communities through the literary arts, and thus enhanced the Canadian literary and cultural landscape. Further, she was instrumental in organizing several international dub poetry festivals. Afua has published five books of poetry, including the critically acclaimed Copper Woman and Other Poems. Her poetry has a strong sense of memory, history, place, and spirituality. Further, Afua has published two historical novels, which have garnered Canadian and American awards. Her work in the creative arts has been recognized with the Premier of Ontario Award for Excellence in the Arts, a Governor General’s Award nomination, and internationally with the Beacon of Freedom Award (recently awarded for her book My Name is Phillis Wheatley). In recognizing the tremendous multi-discipline contributions Afua Cooper has made to Canadian society and life, and internationally, Essence Magazine named her as one of the twenty-five women who are shaping the world. As a result of her scholarship and praxis, Afua was appointed in 2011 as James Robinson Johnston Chair in Black Canadian Studies at Dalhousie University, Halifax. The Johnston Chair is a senior academic position and is the only one of its kind in Canada. As the Johnston Chair, Dr. Cooper has engaged in research, teaching, and publication on Black Canada. She also launched the Chair’s distinguished lecture series which for the past five years has brought scholars, artists, and activists to Dalhousie University and Nova Scotia as part of the chair’s work in democratizing epistemologies and bridging the gap between the academy and community. Dr. Cooper is also the chair and founder of the Black Canadian Studies Association, and the Dalhousie Black Faculty and Staff Caucus. I was born in Ghana, West Africa, on April 10th, 1944. Came to Canada in 1969. Summer of 1972 worked at The Toronto Star as a student intern. Managed and edited Black community newspapers, CONTRAST & ISLANDER, in the early 70s. Was a reporter & documentary specialist with CITY-TV for almost 30 years. Now, I'm a freelance writer, documentary film maker and motivational speaker. Anthony is an associate at Falconers LLP. He practices in the areas of civil, constitutional and criminal state accountability litigation. He has a special interest in anti-racist human rights advocacy, particularly in the area of anti-Black racism. He has appeared at the Divisional Court and the Supreme Court of Canada and has also represented the interests of African Canadians before United Nations human rights treaty bodies. Most recently, Anthony played an integral role in advocating against carding, a rights-violating police practice which the Ontario government introduced regulations to address in March 2016. 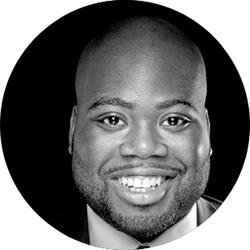 Anthony is a frequent legal, social and public affairs commentator on issues concerning race and racism, critical multiculturalism and critical race theory in Canada. His comments on these issues have been featured in the Globe and Mail, National Post, Toronto Star, Huffington Post Canada, and other major newspapers and broadcast outlets, including CNN. ​In addition to holding an LL.B. and B.C.L. from McGill University, Faculty of Law, he holds an Hons. B.A. from the University of Toronto in Ethics, Society & Law.